In March 2009, the dollar resumed its decline thanks to the now $20 trillion U.S. debt. Creditor nations, like China and Japan, worry the U.S. government won’t support the value of a dollar. The fact that the dollar is the largest reserve currency and largest international funding currency allows the US to easily fund those massive trade deficits, which has made the trade deficits possible over the past two decades. The official U.S. trade deficit ballooned to almost $60 billion at the end of 2018. With the recent tariffs placed on China, the “solutions” offered to close down the deficit appear short-term. If the dollar doldrums do continue, don’t count on a smooth ride in 2019. 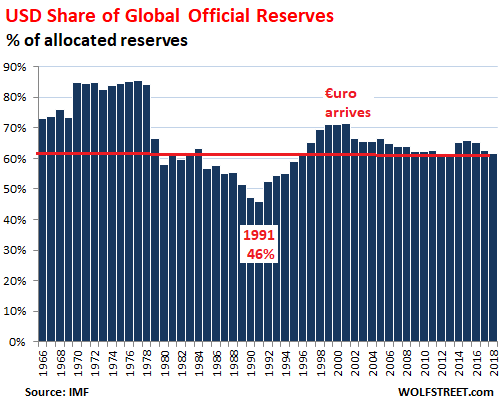 The dollar’s grasp on its status of global reserve currency continues to slip away. It could start dancing nervously if geopolitical tensions increase from the next wild POTUS announcement. 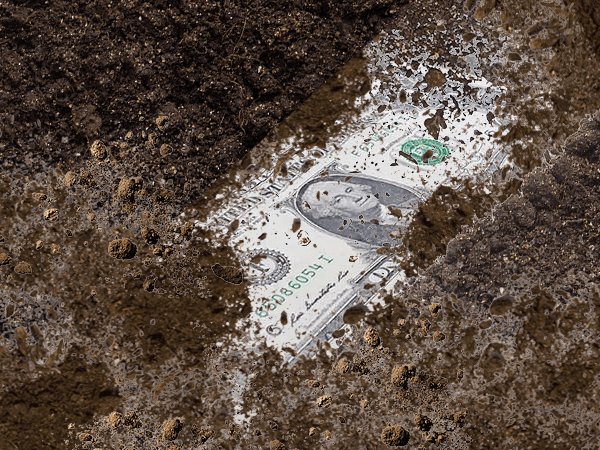 The bottom line is, anything can happen as the World pushes away from the dollar and the economic outlook remains uncertain. So what can you do? Corporate – inflated stocks carry downside risk. Even bonds and Treasuries aren’t a guaranteed hedge. But precious metals like gold and silver have been historically proven to do well when the dollar doesn’t. Whatever you choose to do, it’s better to be prepared than left behind.